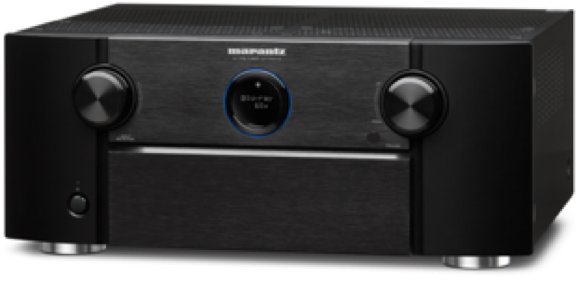 Mahwah, NJ (March 29, 2016)– Marantz, a world leader in advanced audio technologies, announces a unique upgrade offer to add the breathtaking three-dimensional audio format Auro-3D® to two of its premium home theater centers: SR7010 premium network A/V receiver and the AV7702mkII network pre-processor . Expected to be available March 29, 2016 customers can purchase a firmware upgrade that will for the first time add Auro-3D® to these models. Mahwah, NJ (March 29, 2016)– Denon, a leading manufacturer of premium home and personal audio products, announces a unique upgrade offer to bring three-dimensional audio format Auro-3D® to two recently introduced Premium A/V Receivers. Expected to be available March 29, 2016 a firmware upgrade (a fee is charged) will further enhance the feature set of the highly-acclaimed AVR-X4200W and the AVR-X6200W models. Brussels, Belgium, 23 March 2016 – Roger Shah’s reputation in the international electronic dance music (EDM) scene spans over 20 years, having worked with and produced for some of the world’s biggest artists such as Tiësto, Armin van Buuren, Sarah McLachlan and Moya Brennan, amongst countless others. Today we are proud to announce Roger’s newest artist album, entitled ‘Music for Meditation, Yoga & Any Other Wellbeing Moments’, set to be released on Pure Audio Blu-Ray™ and in Auro-3D®. The album is a world premiere as it will be the first album containing meditational music released in Auro-3D. Brussels, Belgium, 9 March 2016 – Sono Luminus and Auro Technologies announce the upcoming release of ‘Crossing Over’, the new album by the Skylark Vocal Ensemble. The album was recorded and mixed in Auro-3D® and is considered to be one of the finest recordings Sono Luminus has ever produced. ‘Crossing Over’ will be released on Pure Audio Blu-Ray™, with an immersive Auro-3D® mix alongside traditional Stereo and 5.1 mixes. Brussels, Belgium, 2 March 2016 – Brussels Jazz Orchestra and Auro Technologies announce the upcoming release of the album called ‘BJO’s Finest – Live!’, the first live jazz Pure Audio Blu-Ray™ with Auro-3D®. The album is an entirely Belgian production – performed by the renowned Brussels Jazz Orchestra, recorded at Flagey, Brussels and mixed in 5.1 Surround and Auro 9.1 by Patrick Lemmens at Galaxy Studios, Mol – and will soon be released with an incredible Auro-3D® mix, a Belgian technology. The album dates back from 2013, but is now being released on Pure Audio Blu-Ray™ in order to bring this renowned jazz orchestra and their live performance to listeners in Auro-3D® quality.